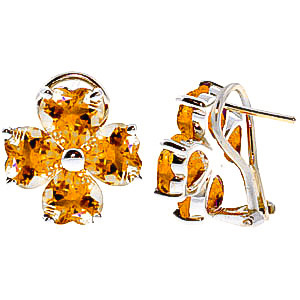 Citrine stud earrings handcrafted in solid 9 carat white gold. Eight natural citrines, grade AAA, total 6.5 ct for both earrings combined. Heart cut. Post with friction back to fasten. 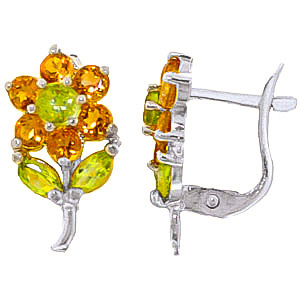 Citrine & peridot stud flower earrings handcrafted in solid 9 carat white gold. 14 gemstones, total 1.72 ct for both earrings combined. Round cut. Post with friction back to fasten. 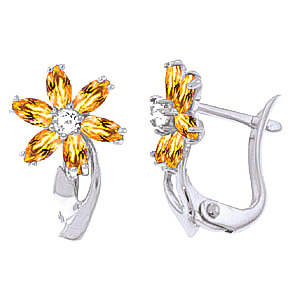 Citrine & diamond stud earrings handcrafted in solid 9 carat white gold. Twelve natural citrines, grade AAA, total 1 ct, two diamonds, SI-2/K, total 0.1 ct for both earrings combined. Marquise cut. Post with friction back to fasten. 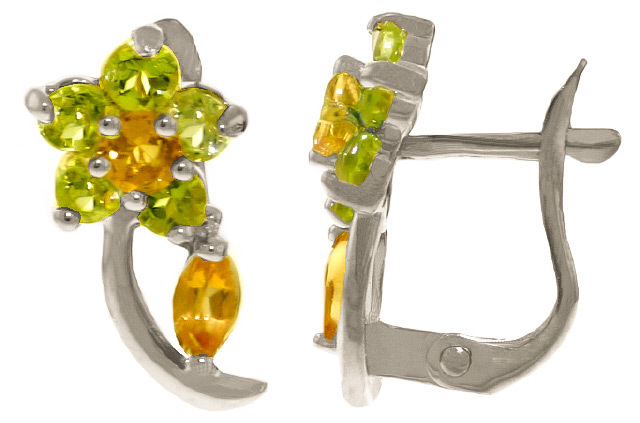 Citrine & peridot stud flower earrings handcrafted in solid 9 carat white gold. 18 gemstones, total 2.12 ct for both earrings combined. Round cut. Post with friction back to fasten.